I got to see Day of the Dead today. This is the new one. This isn’t a bad zombie movie, but there is way better out there. The zombies themselves look great. They move fast and can jump. Some of the them can crawl up walls. I found the wall crawling a bit weird because only a few can do it. Of course the dialog gets real bad at parts. That is pretty much a stable in these type of movies. My biggest grip is that the CGi is pretty badly used. For example the CGI blood and fire. Other than that its a nothing special, worth a rent. Just if you are zombie movie fan. *on a side note this is my 100th post. 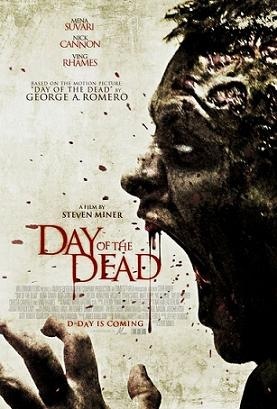 This entry was posted on April 24, 2008 at 5:46 pm and is filed under Review's with tags Day Of The Dead, review. You can follow any responses to this entry through the RSS 2.0 feed. You can leave a response, or trackback from your own site.